Marius Herrmann shows his mastery in constructing machinery from video games with this Corruptor from Horizon: Zero Dawn. 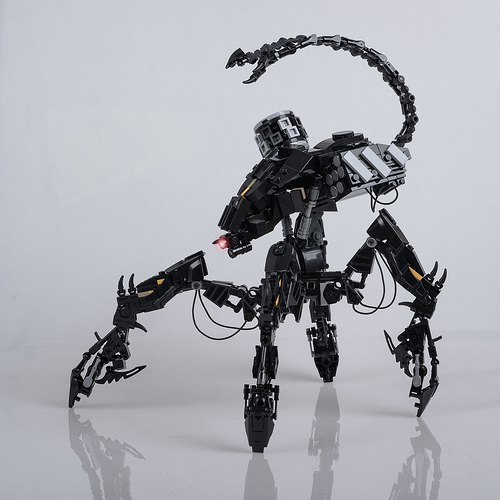 His intricate use of Bionicle pieces, minifigure utensils, and string throughout add to the intimidating appearance. However, it’s the techniques to create the tail claw that is most outstanding to me. If you enjoyed Marius’s Corruptor, you may also like his colossal Thunderjaw, or try your own hand at constructing Wayne de Beer’s Tallneck.